Quick ‘n Easy Rating: Class 2/3 – You fall you sprain or break something. Difficulty Notes: Some moderate scrambling and loose terrain along with limited route finding make this a moderate scramble. Since Andrew Nugara’s scrambles book lists a few GR’s on it’s tick list of summits, I guess I will start listing a few of these and see how it feels. My original plans were to ascend Mount Bryant but when I got to the north end of the Powderface trail (road) I saw a sign indicating a local closure for a car rally race from 12-7pm! That was a major bummer – I wasn’t too impressed. Stuck with nothing to do and running out of time to drive somewhere else and still have time to ascend anything I pulled out Nugara’s book and started perusing it for ideas. GR338442 jumped out at me. 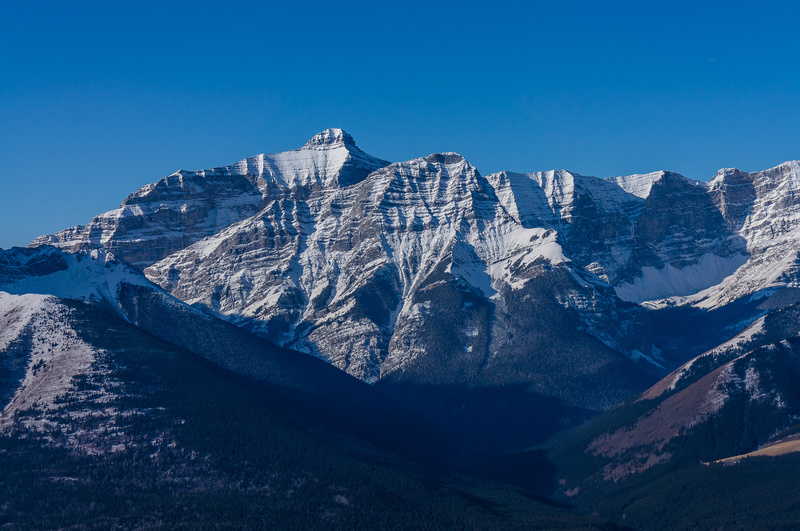 With a possible extension to Kananaskis Peak I could even end up with a two peak day. 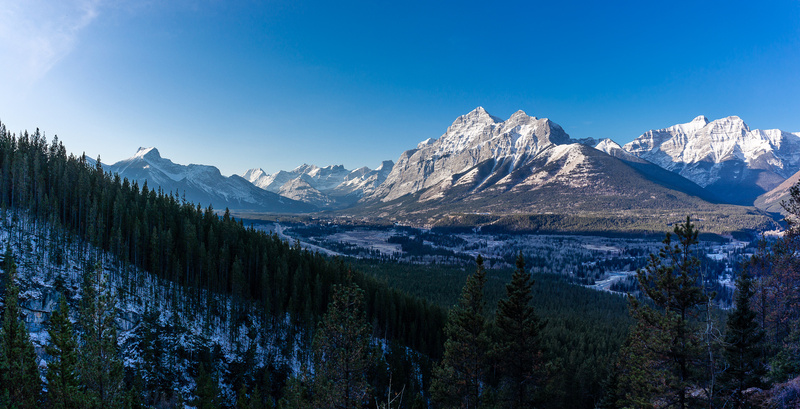 I drove the remainder of hwy 68 to hwy 40 and parked near Kananaskis Village turn off, as for Wasootch Peak. My small gully that took me to tree line on the ridge after descending from the Wasootch trail and going up the creek a little ways.My small gully that took me to tree line on the ridge after descending from the Wasootch trail and going up the creek a little ways. Not as bad as it looks – but loose! Nearing the upper route. I didn’t like the sounds of the nasty bushwhack so I ascended the Wasootch trail on the left side of the creek rather than Nugara’s lower route through the forest. I went pretty high on this trail until it insisted on giving preference to Wasootch by angling climber’s left and away from the creek. 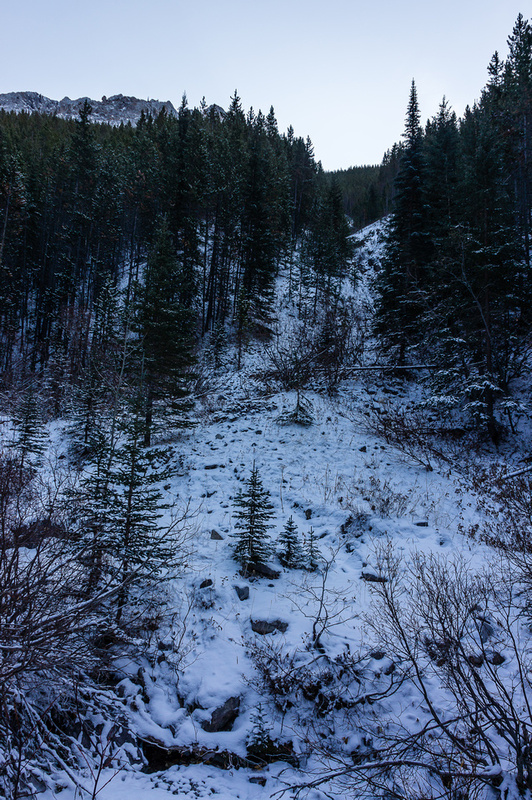 I was about 50-75 meters above the creek at this point and had to lose the elevation before walking up the creek to find a way up the ridge. Eventually I came to a drainage (small, rocky) and ascended it to gain tree line on the ridge to GR338442. The gully had some snow and ice in it but didn’t present too many huge problems. 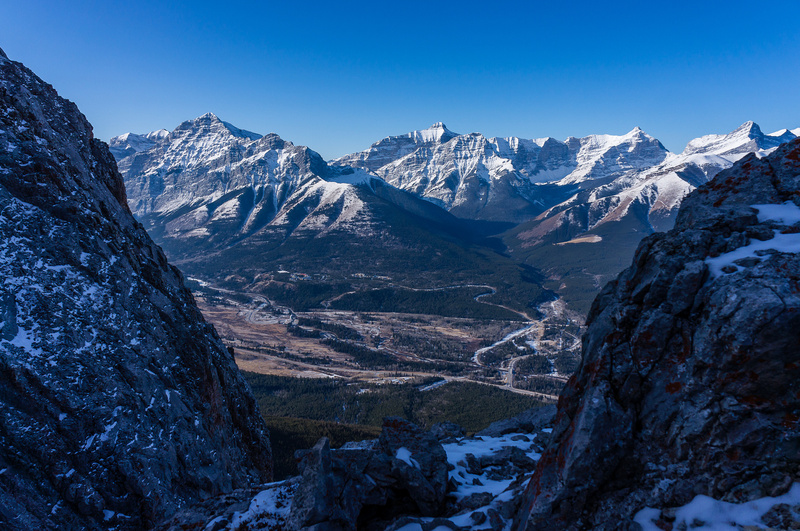 Nice views from the upper route include Kidd, Bogart, Ribbon, Sparrowhawk, Allan, Lougheed and Collembolla. The top part of the route was surprisingly loose and unpleasant. Every step up was half a step back! I tried to find solid ground but it was a challenge. 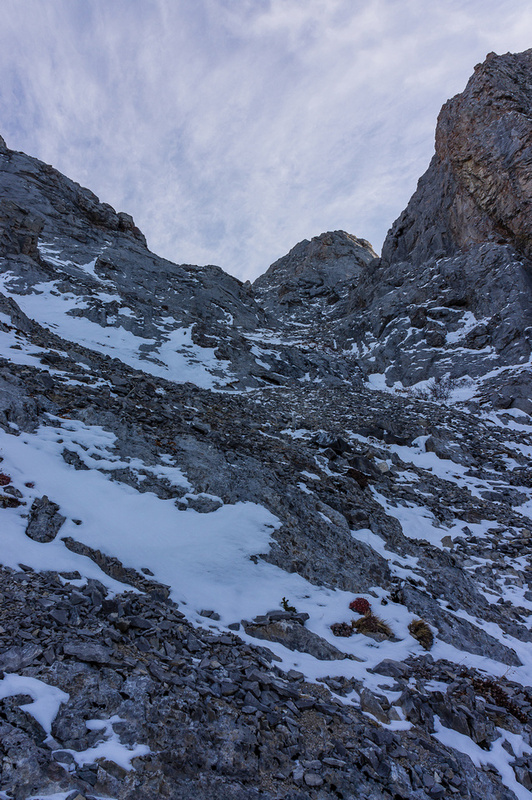 With snow, there was one tricky little traverse that I couldn’t slip on (exposed) but other than that nothing major. The summit views were great under a blue sky with a chilly breeze. 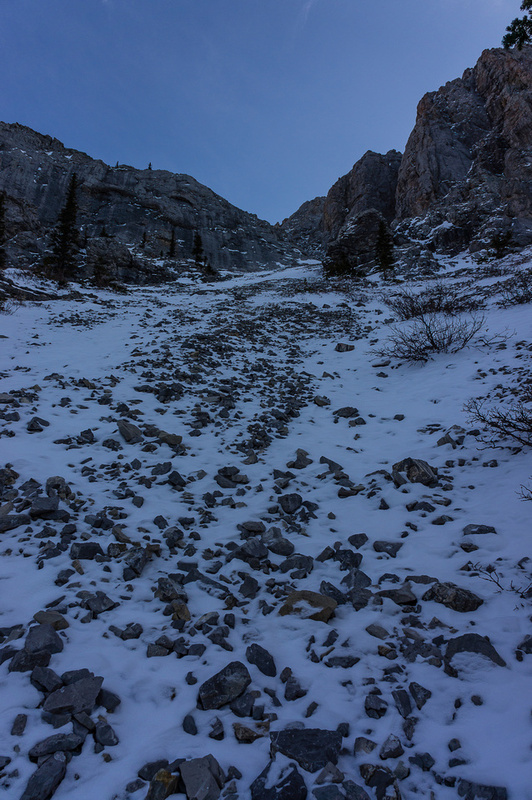 Kananaskis Peak looked intimidating to get to, and I wasn’t feeling 100% so I bailed on that plan. 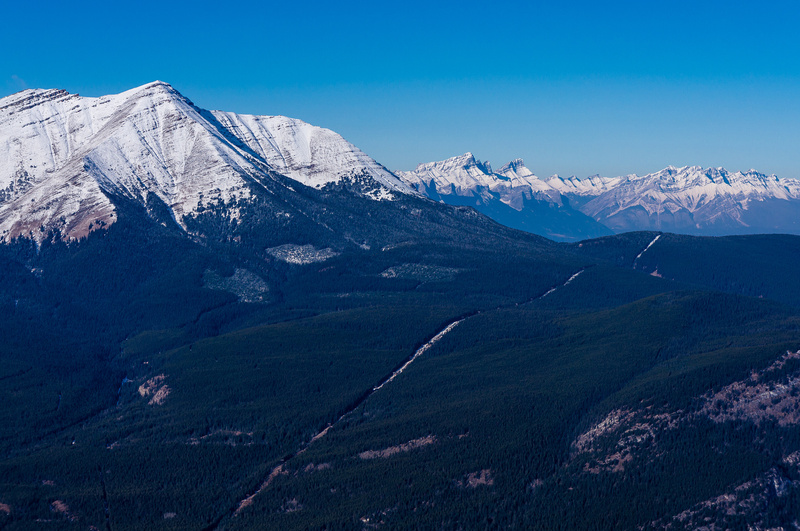 Kananaskis Peak (right) and Wasootch (left). Barrier Lake at distant left with Baldy to the right at center. The descent was fast. 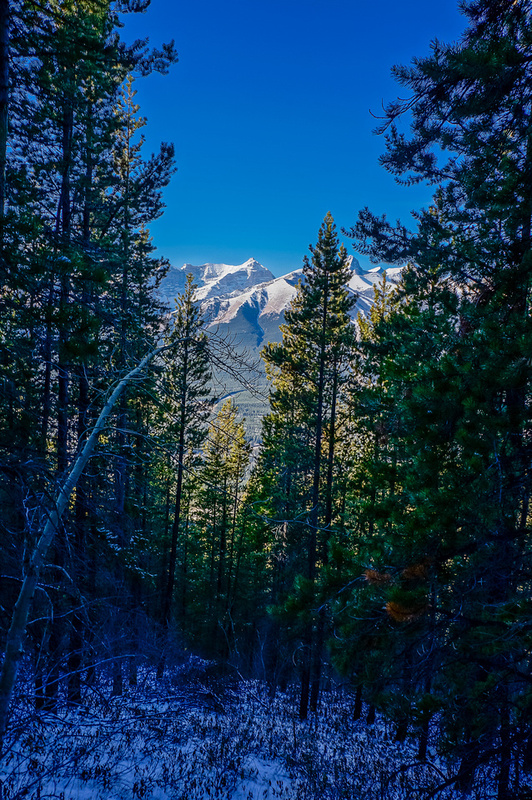 I descended further down the treed ridge, until the terrain flattened a bit and then hit the creek, crossed it and descended the Wasootch trail to the truck. There was 5 vehicles parked near me – they were all ascending Wasootch, which seems to be the new Mount Baldy now! If you’re desperate for a summit and have done everything else in the region this peak is worth your time. Else, there is better objectives out there. I certainly won’t be repeating. I just missed a glorious sunrise opportunity but managed to capture a bit of it along hwy 68! 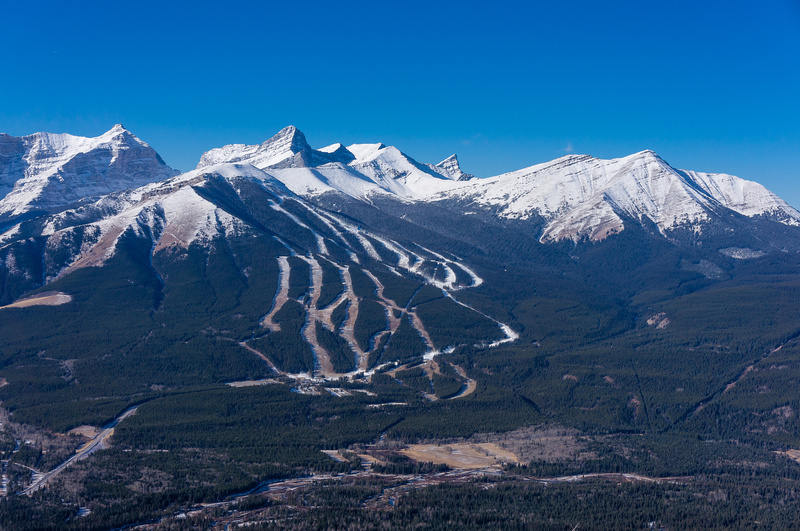 The Kananaskis valley looks nice with a dusting of snow. The Wedge at left and Kidd at right. My small gully that took me to tree line on the ridge after descending from the Wasootch trail and going up the creek a little ways. 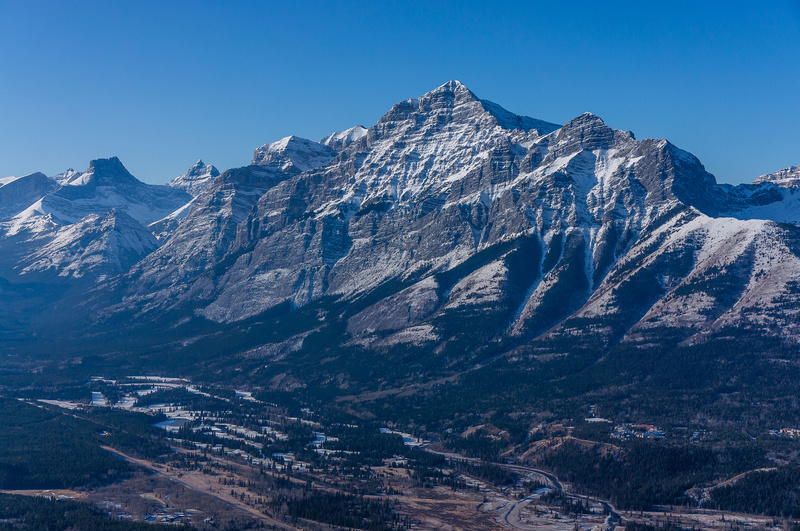 Mount Bogart towers over Ribbon Peak. Not as bad as it looks - but loose! 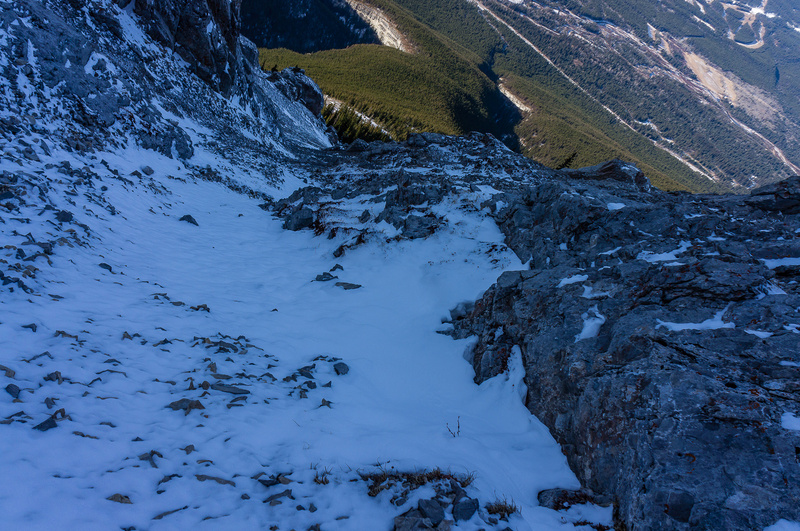 Almost at the summit now - looking back down my ascent route. Wasootch Peak is more fun than this one - and much more popular! 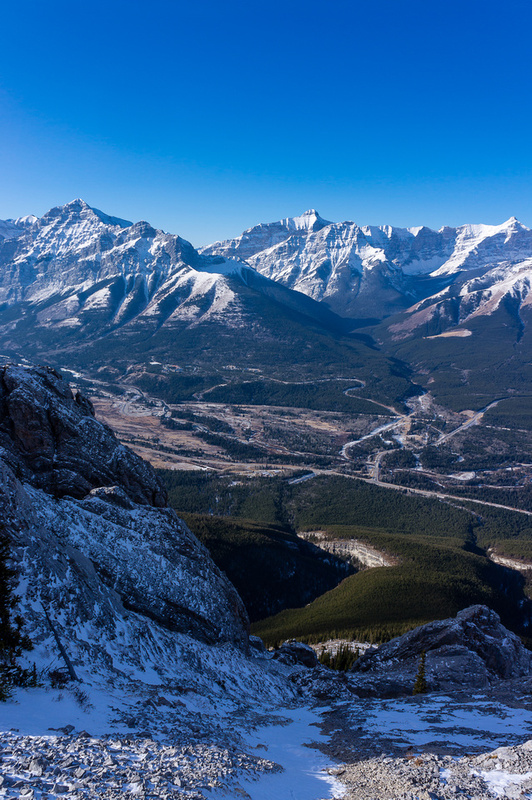 Kananaskis Village through a gap in the upper ridge. Another neat gap in the ridge. Wedge, Kidd, Bogart, Ribbon, Sparrowhawk, Allan, Lougheed and Collembola. 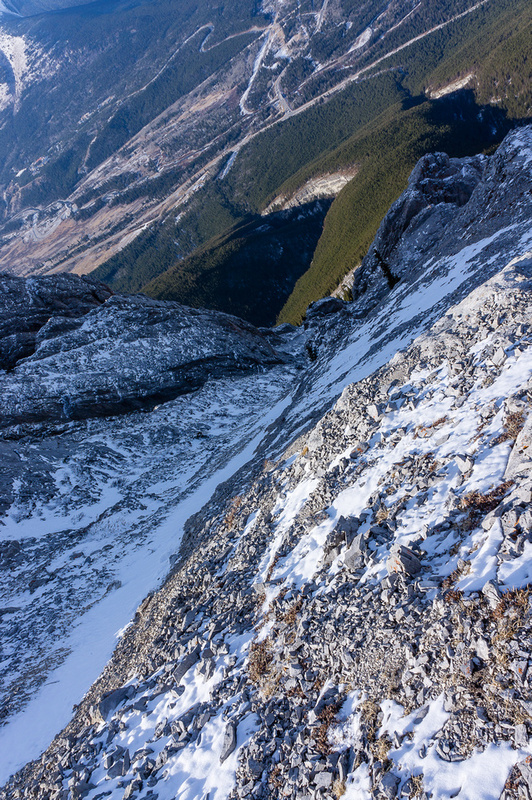 Looking down my ascent route. 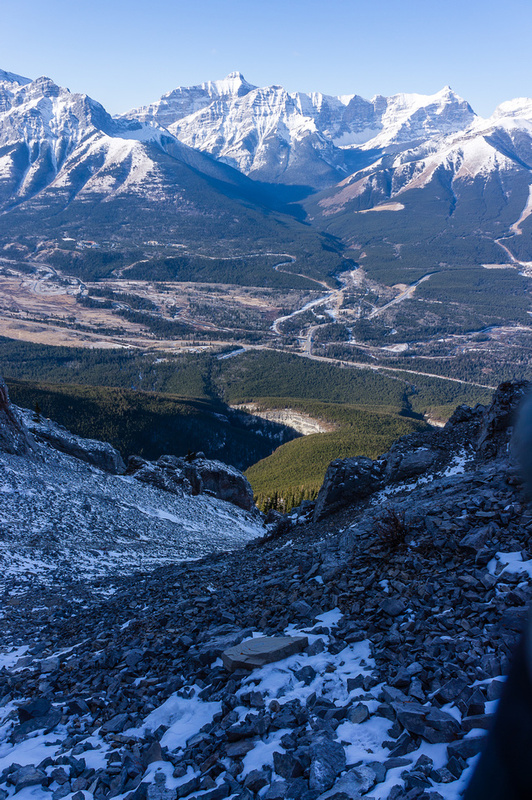 The hwy 40 corridor past Kananaskis Village. 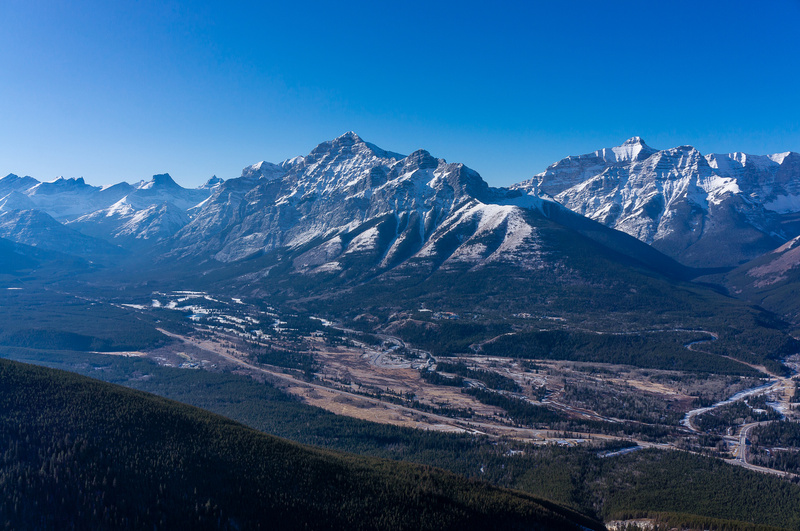 Across the valley, Bogart, Ribbon, Sparrowhawk, Wind, Lougheed, Allan. Looking past Collembolla and over Skogan Pass. Barrier Lake and Mount Baldy. 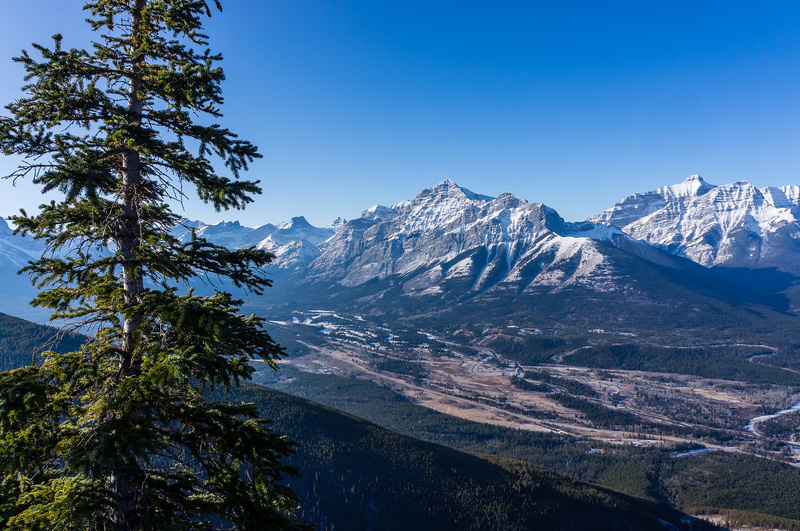 The upper treed ridge isn't bad at all - at least on the way down! 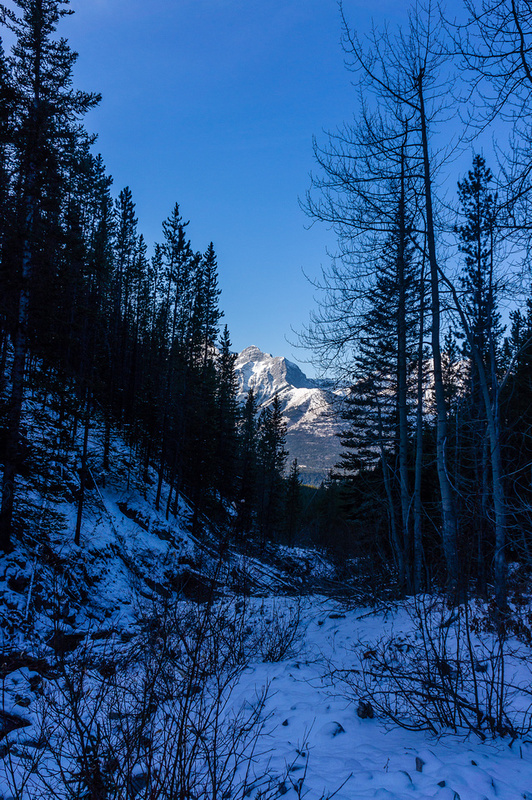 Back on the Wasootch approach trail, looking back at GR338442. 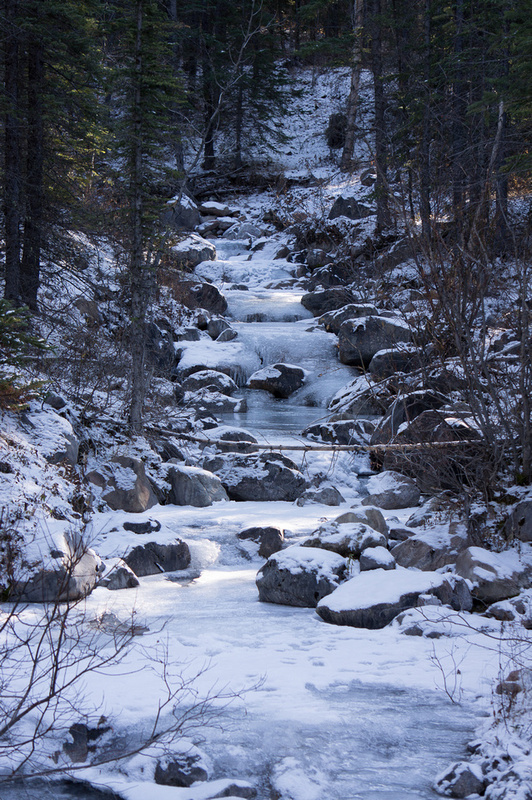 Wasootch Creek is mostly frozen over now.